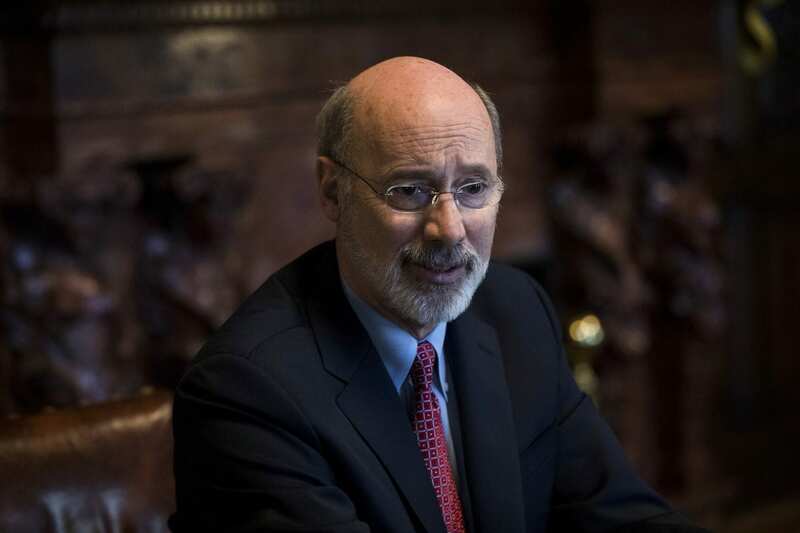 HARRISBURG, PA (WSKG) — Friday is the deadline for Governor Tom Wolf to sign or veto a bill that would create a drug formulary for Pennsylvania’s workers’ compensation program. Basically, that’s a list of drugs deemed acceptable for doctors to prescribe to workers injured on the job. Employers would be able to block a prescription if they suspect it is inappropriate. Wolf isn’t saying whether he’ll sign the measure or not. However, the day before his deadline, he issued a surprise executive order that would do a number of the same things as the proposal–and many Republicans are taking that to mean a veto is imminent. The GOP has touted the drug formulary measure as a way to prevent opioid abuse, plus reduce the cost of workers’ compensation. But a lot of Democrats and unions dislike it. “I think the natural effect of the formulary is that it will allow for more money to flow back to insurers at the expense of treatments for workers,” Wolf Spokesman JJ Abbott said. He said the executive order–which eschews the formulary in favor of prescribing guidelines–targets opioid abuse prevention without the risk of impeding care for patients. The administration is also urging the GOP-controlled legislature to pass two bills still sitting before committees: one that would codify the administration’s prescribing guidelines into law, and another that would limit opioid prescriptions to seven days, barring exceptional circumstances. House GOP Spokesman Steve Miskin also said regulating drugs via executive order gives Wolf too much power. Also at-issue: proponents of the formulary say it would stop the practice of workers’ compensation lawyers referring people to specific doctors, who fill overly-expensive prescriptions using pharmacies tied to the attorneys. Wolf recently attended a campaign briefing at a firm that, according to reporting from the Philadelphia Inquirer, had engaged in such a practice. Abbott noted, the governor’s executive order seeks to regulate prices of the expensive drugs in those cases.